We're going to look everywhere,' said Anna. Anna and her sisters fill their days with fun, mischief and adventure - like the time Anna glues a block of wood to her middle sister's foot, then worries it will be stuck there forever! They celebrate birthdays and Passover together, cope with friends being mean, and feed peanuts to the bears at the zoo. 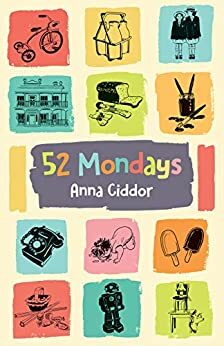 Anna Ciddor has made her name as a versatile writer and illustrator of fiction, travel and historical books for primary school children. Her Viking Magic fantasy series has earned her fans throughout the world. Her previous novel, the Family With Two Front Doors was a CBCA Notable book in 2017. The Surprise Faimly is a fictionalised account of Anna's own childhood. Transported me back to the 60's, and reminded me of so many things I'd forgotten about being a child then. This is a wonderful story about a child who is a little out of the ordinary. The family Anna creates is quirky, and we grow to love them all as we live through their adventures, misadventures, and touch on their Jewish heritage and history. Loved every word of this book. It’s about everyday life in the ‘60s from a child’s point of view - toys, school, family, and childhood longings ... with a unique storyline made exciting by the delightful writing and vivid characters. Read it - or buy one for any child you want to enjoy a really good book.